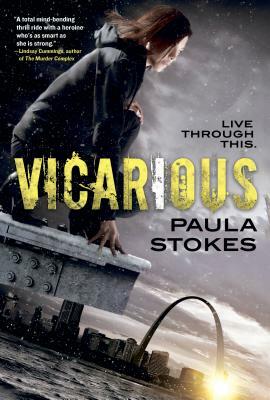 Paula Stokes weaves together a series of mysteries and the story of an unbreakable bond between sisters in this unforgettable high-tech thrill ride. Winter Kim and her sister, Rose, have always been inseparable. Together the two of them survived growing up in a Korean orphanage and being trafficked into the United States. But they've escaped the past and started over in a new place where no one knows who they used to be. Now they work as digital stunt girls for Rose's ex-boyfriend, Gideon, engaging in dangerous and enticing activities while recording their neural impulses for his Vicarious Sensory Experiences, or ViSEs. Whether it's bungee jumping, shark diving, or grinding up against celebrities in the city's hottest dance clubs, Gideon can make it happen for you--for a price. When Rose disappears and a ViSE recording of her murder is delivered to Gideon, Winter is devastated. She won't rest until she finds her sister's killer. But when the clues she uncovers conflict with the digital recordings her sister made, Winter isn't sure what to believe. To find out what happened to Rose, she'll have to untangle what's real from what only seems real, risking her own life in the process. PAULA STOKES grew up in St. Louis, Missouri where she studied psychology and nursing. In between her degrees, she spent a year teaching English in Seoul, South Korea. Paula is the author of several books for teens, including Liars, Inc. When she's not writing, she's reading, kayaking, hiking, or seeking out new adventures in faraway lands. She currently lives in Portland, Oregon.